A couple of weeks ago, I did an Instagram live session with a clinical psychologist, Soma Hashmi, as part the #TimeToTalk campaign and we spoke about various aspects of mental health. Since Instagram live sessions cannot be viewed after 24 hours and we were getting requests by people who either missed it or wanted to share the information with others, here's a written version of everything we discussed. Soma has been kind enough to take out the time to put down all the answers in as much detail as she explained them with during the session. 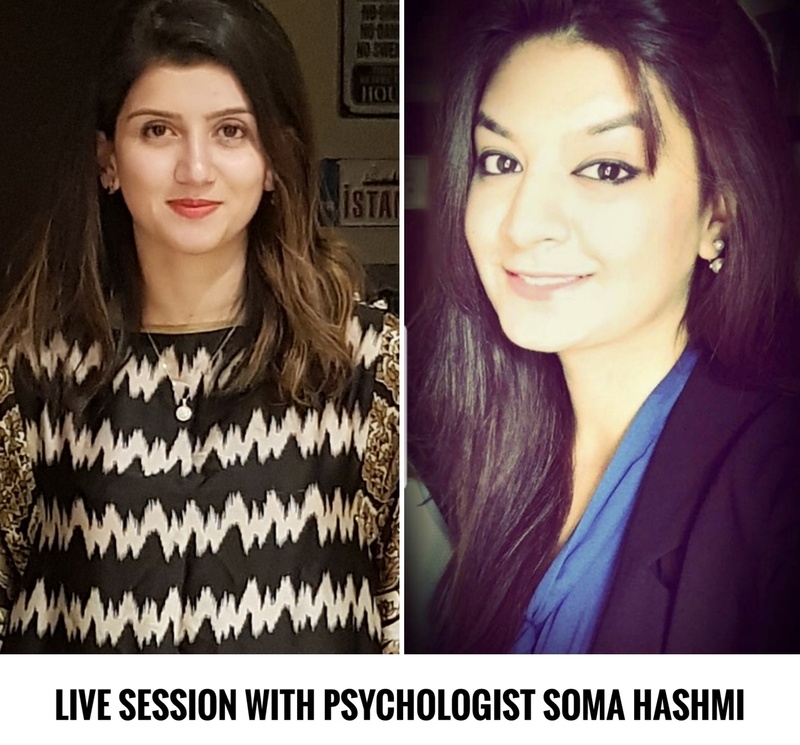 Soma is a qualified psychologist with an MSc in Mental Health from Kings College London, UK and a BSc in Psychology from University of Warwick, UK. She interned at two well-renowned hospitals in UK (Bradgate Mental Health Unit, Leicester & Female Psychiatry ward at University Hospital Lewisham, London) whereby she had the opportunity to shadow and work hands-on with the mental health teams. After returning to her home country, Pakistan, she worked at The Recovery House in Karachi (a rehabilitation center for people with mental health issues) and at The Agha Khan University Hospital as a Mental Health research assistant. Q: What is mental health? Mental health is the internal system of our mind. In easy words, it works like a regulator of our emotional well-being. Take physical health for example. Our body signals us about it's well-being by the rise and fall in our body temperature. We get stomach pains when we eat contaminated food and muscle soreness when we work out too much or after too long. Similarly, our mental health comprises of emotions which affect how we think, feel and act. These emotions are happiness, pride, sadness, guilt, stress, embarrassment, contentment and many more. They all function as signals to help us understand ourselves better and realize our potential and our limitations as social beings. Even emotions that we term as ‘bad’, such as sadness, stress or anger, are in fact serving as signals to help us realize something. Sometimes, undergoing emotions that seem unpleasant can help us become more productive. For e.g. moderate levels of stress during an exam can help you focus better, or sadness after the death of your loved one can help you stop and slow down for a while. Q: How to know if you need to seek help regarding your mental health? Certain signs and symptoms you need to look out for. There’s one thing we all need to understand. We all all different from one another. Just like no two people have the same personality or the same life experiences, no two people can have the exact same reaction to a stressful situation. Some individuals are perfectionists with a high level of anxiety while others may be a lot more relaxed and easy-going. The point I’m trying to make here is that there isn’t a single sure shot checklist that one ticks off to ensure if they need help or not. It all depends on our functionality. If you no longer find interest or pleasure in activities that were enjoyable before. Psychiatrists are trained/qualified medical doctors who have the license to prescribe medication, such anti-depressants, anxiolytics etc. They also practice therapy with their patients but their primary focus is on medication management. Psychologists' prime focus is treating emotional and mental suffering through counselling and psychotherapy. They do this by engaging in conversation with the patient and understanding his/her thoughts and behaviors. They then carry out certain therapeutic techniques that help the patients gain insight into their condition. Psychiatrists and Psychologists often work together as a team. If the psychologist feels a patient's symptoms are unmanageable without medication, they will refer him/her to a psychiatrist for further treatment. Q: What goes on in a depressed/mentally ill person’s mind? Always remember, just like physical illness, mental illness too is not under our control. No one enjoys being in the state of depression, or any other mental illness for that matter. A lot of people ask what the difference between sadness and depression is. While sadness is a functional emotion that we feel 'due to' something, like failing on an important exam, depression does not work that way. Depression is an illness that is defined by persistent low mood. It is a state that we feel towards everything around us, including ourselves. A depressed person does not have any explanations for why they feel the way they do. In my live session, I said imagine you’re sitting in a dark room, you see a lot of positive stimuli around but you cannot seem to take any of it, there seems to be a barrier that you are unable to cross. These feelings can cause a lot of guilt and self-criticism in a depressed person. Q: What can I do if therapy is not an option/possibility for me? Again, this depends entirely on the severity of your problem. With issues like severe anxiety and depression you would need the help of a professional to guide you through the process of healing. However, there are certain lifestyle changes one can make to help alleviate the symptoms that we experience as part of these problems. It’s never selfish to take out some time for yourself. To re-evaluate priorities and give them importance, the same way you would for your loved ones. It’s very common in our South Asian culture to forget our basic needs only to make others satisfied and happy. Creative activities: Channel your pain/stress into something like painting, playing a musical instrument, decorating, writing etc. Educate yourself about your feelings. There are multiple resources out there that offer therapeutic exercises and approaches for you to understand yourself better. Mind over matter (By Dennis Greenberger): It shows readers how to change the way you feel by changing the way you think. It contains step-by-step worksheets and has helped people deal with issues like anxiety, depression, panic attacks, low self-esteem etc. Reinventing your life (By Jeffrey E. Young): A book that guides readers on how to rid themselves of negative life patterns and thoughts. We’re lucky to be living in a day and age where certain resources are available with the click of a button. There are several applications that offer guided meditation and relaxation techniques. 1. Headspace and Simply Being: Both will give you step by step guidance on skills of meditation and mindfulness. They give you options to listen to a guided voice that gradually involves your senses and helps you to focus in the present. 2. Expectful: A guided meditation app designed especially for pregnant women and mothers. Helps them to relax, sleep better, reduce stress and connect with the baby and themselves. It is also important to remember to disconnect from technology from time-to-time. It’s a good idea to assess if there are any factors that further trigger your levels of stress, for example certain people or blogs you follow online. This helps to feel connected to the people around which diminishes feelings of isolation that accompany problems like anxiety and depression. Q: What if going to a psychologist doesn’t help and they just make you come again and again? Firstly, the progress of therapy depends from person to person. No two people will gain the same result from therapy. Secondly, the kind of rapport or connection you and your therapist form plays a huge role in the kind of progress you achieve. Therapy takes time. You are never going to get results overnight and you’re never going to suddenly emerge as a new, different human being. Therapy helps us understand ourselves better and deal with our issues in a more functional manner. Just the way it took time to arrive to the point of suffering from anxiety or depression, it will take time to work through all the symptoms before you start feeling better and healthier. Having said that, at times it is difficult to form a connection with a therapist due to various reasons, like personality clash or attitudes that don’t match, and in that case, it is always a good idea to consider changing your therapist. Q: What to do if you feel your loved one has some mental health issue? What is the best ay to approach them? The very first step is to note changes in their behavior and emotions. The second most important thing is to approach them and try to talk to them. They might just want someone to listen to them, to empathize, rather than lecture them or give them their ‘words of wisdom’. I’ll repeat, the most important approach is to empathize and to listen. I can’t say this enough. Don’t be dismissive. Never ever tell them that it’s all in their head, or that they have too much free time and an idle mind to think about all these things. Show them that you care and understand and are willing to help them out. Q: Spirituality and Mental Health - Namaz Quan parho, sab theek ho aye ga? Again, a very important aspect of our culture. There’s no denying that a spiritual connection or different acts of worship can work as supportive pillars in times of stress and difficulties, but please understand name Quran should not be recommended as the sole solution to a mental illness. We never know how severe someone's condition is or how strong their spiritual connection is. Stop telling people that they are depressed because they do not pray five times a day. It just adds to the guilt and confusion that they are already facing. It's about time we change our mindset and understand that mental illness is a REAL problem that requires professional help. Just like physical problems do. Q: Causes of social anxiety/social phobia and its cure? It’s very common for all of us to feel nervous at certain times, just like Anum and I were before our live session. It’s extremely normal to feel anxious when you’re in a situation you’ve never been in before, where you don’t exactly know what to expect. However, as with all mental illnesses, it all depends on the level of severity. 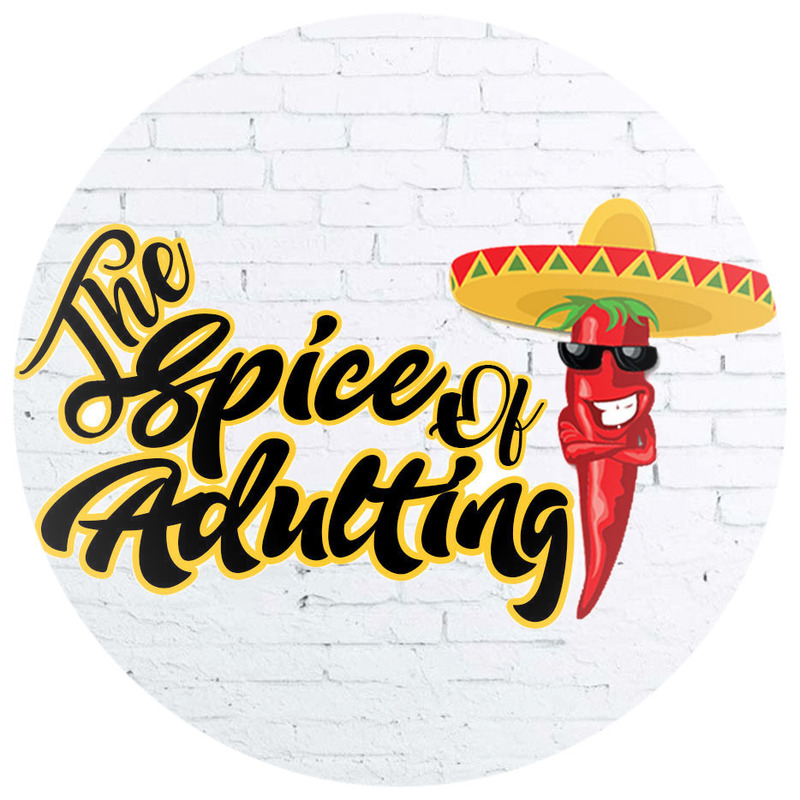 If a person’s anxiety is to the extent whereby they can no longer carry out their everyday activities, such as eating in front of others, going to school or work, then it should not be ignored at all. Social phobia is one of the most common anxiety disorders. It can be described as an overwhelming fear of being judged by others, being embarrassed in public, or accidentally becoming the center of attention. It has physical symptoms that might make a person even more anxious (they might feel they are having a heart attack) such as rapid heartbeat, muscle tension, out-of-body sensations, breathlessness, dizziness and lightheadedness. A lot of anxious people also have issues like stomach trouble and diarrhea (many of them are even diagnosed with irritable bowel syndrome). There’s no single cause for why this can happen but it’s been found that genetics play a significant role. It can also be caused by environmental factors like bullying, teasing, excessive criticism and abuse in childhood. Sadly, social phobia is cyclic in nature whereby you just sink in deeper and deeper if you go long without seeking any kind of help. It can cause feelings of low self-esteem, negative thoughts, isolation, extreme sensitivity and even depression. In our live session, we spoke about ways in which this can be treated. In extreme cases of anxiety, whereby the person doesn’t have much insight or control, medication would need to be given initially. Apart from that, therapy works wonders. Cognitive behavioral therapy is one such therapy that works on altering the person’s irrational thoughts to help cure the anxiety and eventually change the behavior. For example, as we discussed, for someone who has a fear of eating in public, the therapist will initially ask him/her to have a drink in a public space and see what happens. The therapist will ask the client how they felt, if anything bad happened, if anyone said anything to him/her. It’s basically a way of desensitizing the person by gradually exposing them to the anxiety-inducing situation. Therapy also works on addressing the underlying issues that caused the anxiety in the first place. The therapist will address any underlying fears you have and why you have them. Keep in mind that this does not happen overnight and does take time. Again, therapy is a two-way process and it is most efficient when the therapist and the patient have a good rapport. We hope this information is helpful in creating basic awareness about mental health and we plan to do more sessions in future to address more specific concerns.